As part of Mental Health Initiative Week, IMSA’s Student Council has arranged for Sudesh Kannan, Ph.D.to talk about “Positive Psychology” this Thursday, January 29, 2015, at 6:30 p.m. 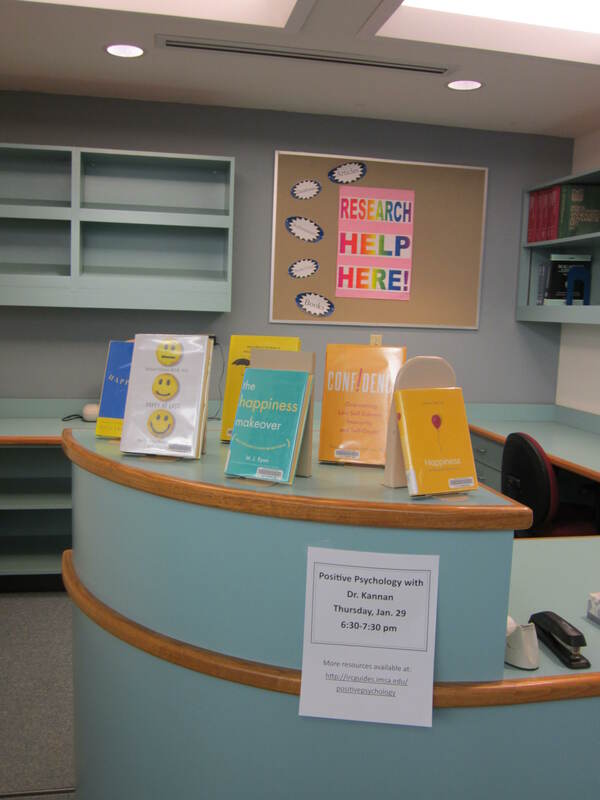 In support of this event, Connie James-Jenkin, Collection Development and Reference Librarian in the IRC, has created a display of books written about “positive psychology.” The books are located by the Reference Desk, and all are available for checkout. Sudesh Kannan, Ph.D. is an IMSA parent, a business consultant, an author and a teacher. He received his undergraduate degree at the Indian Institute of Technology in Madras, India, which had high academic standards and pressures very similar to IMSA, according to last year’s Student Council bio about Kannan. Kannan has a master’s degree from University of Wisconsin-Madison and a doctorate in Materials Science and Engineering from the University of Virginia. He has written more than 25 technical papers and conference publications and is the co-author of the book, “How to Beat the Heart Disease Epidemic Among South Asians.” Kannan meditates regularly and teaches meditation and mindfulness to professionals. He has completed three marathons and several long distance bike rides. On Thursday, Kannan will talk about “Positive Psychology” at 6:30 p.m. Last year Kannan talked about the principles of positive psychology as they apply to IMSA students, including finding ways to be happy by leveraging your current challenges and struggles, discovering how existing and new relationships can expand a student’s life and engaging in individual strengths to find meaning and fun in life. Mental Health Initiative Week is a student driven event at IMSA. The first Mental Health Initiative Week was held January 2014. According to the IMSA Student Council, the main objectives of the week are to raise awareness of issues pertaining to mental health; provide knowledge and resources to combat these issues; and to make the IMSA campus a healthier, more positive place to live. Contact Student Council for more information about Kannan’s presentation on Thursday, January 29, 2015. This entry was posted in Displays on January 27, 2015 by nluebke. 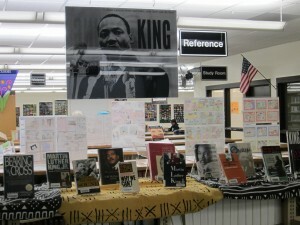 IRC Display Honors the Life of Martin Luther King, Jr. 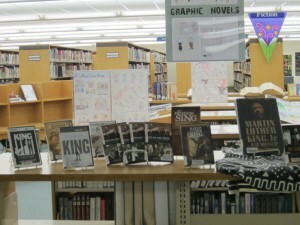 The life of Martin Luther King, Jr. is the subject of the newest display of books and media available in the IRC. 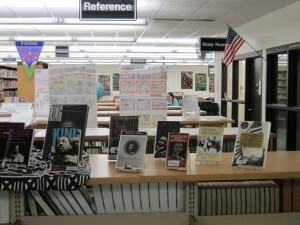 Stop by and find out what the IRC has to offer on this topic and check out anything that is of interest. This entry was posted in Displays on January 20, 2015 by nluebke. We’ve received the first issues of two new subscriptions for magazines that will now be available in the IRC. Stop by to look at these magazines or check out an issue to read at your leisure. The new issues are now on the magazine shelves. 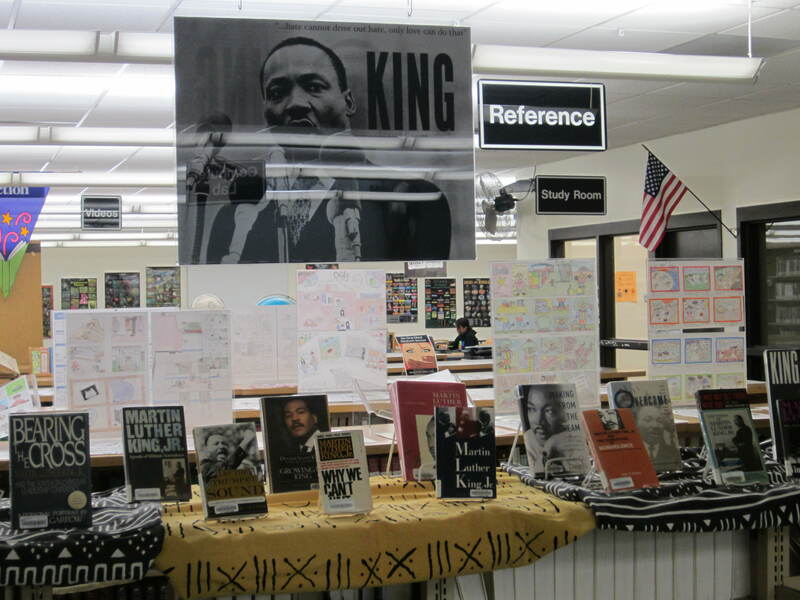 This entry was posted in Displays on January 5, 2015 by nluebke.